"God Loves Me?" How Dare You! We often hear things like “God loves you.” We know Christian Churches stand or fall on that notion. We know that the faith of any individual Christian is grounded on this one simple statement: God loves you. But what happens when our experience tells us not that God loves me, but that God must have it out for me? Our pain and suffering, or our vision of the world where injustice and suffering exists in such terrible ways, must square with the statement—or not. In a world where millions of children are slaughtered for convenience, in a world where the suffering of entire people groups is made worse by national (dis)interest, in a world where sexual slavery, hatred, mass shootings, drug dependency, racism, sexism, corporate greed, political maneuvering—in that kind of world, how can you say “God loves you,” or me, or anyone else? Doesn’t it seem as if, if there really is a God, the world we experience tells us that this God is rather capricious, or uncaring, or perhaps worse, takes malicious joy in our various sufferings? The world we live in is just the kind of world in which the Roman political system had a means of dealing with what it considered to be the most terrible kind. It served different purposes for Rome. Just 100 years before Rome crucified a now-famous Galilean, there was another famous crucifixion in 71 BC. A runaway gladiator-slave named Spartacus led a rebellion. His followers were finally killed or caught, and Rome hung up to 6,000 of his followers along the Appian Way. Now, whatever we think of Rome, or Spartacus, or any of these other facts, we should pause on that for a moment. Rome hung 6,000 human beings on a road. They languished on those crosses for days, and afterward remained for everyone to see the corruption, and stink, and rot. Scavenger animals feasted for days. And this was Rome’s symbol of triumph over a rebel-slave: a road of suffering stretching for miles. More commonly, Rome used this as the most expedient means of demonstrating to its inhabitants what happens when any individual in the Empire dared to stand against the system. You want to speak against Rome? You want to stand against perceived injustice in the good-and-glorious Empire? The cross was an ever-present reminder for those who entertained such ideas. Of course, the most famous example of Roman crucifixion happened upon a man who also voiced opposition. In a backwater of the Empire, the locals became offended by a man who claimed the locals needed to turn from their evil ways. The locals, in turn, formed a mob and brought him to the Romans in charge. When they heard this man made claims to kingdom, when they heard echoes of opposition to Caesar’s good reign, they stripped him, whipped him, mocked him, and turned him back over to the locals so the locals could have him legally murdered. This is the world with a cross. It’s a world where systems become corrupt. It’s a world where the kings make much of themselves and little of any authority over them. It’s a world where the mob can turn against an innocent man and murder him in the name of justice. And from that day to this, not much has changed in that regard. And if we see that story and think that we’re better than they are, you haven’t been paying much attention to the news. The means have changed, but the heart is the same. Again and again, we see people suffer at the hands of the Twitter mob. Politicians condemn the innocent for the sake of political expediency. Your neighbor may very well plunder your material goods, and that’s why you lock your door at night. Murder is in the heart of every one of us who hates our brother or sister. But if we read all of that and fail to see the corruption in our own hearts, we aren’t looking closely enough. We are the mob who rip apart the innocent; we are the locals who’d rather not hear about our culpability; we are the Caesars who dispose of the slave with violence. We are the murderers. Most of us simply haven’t had the opportunity to show just how much murder is in our heart in such public or obvious ways. So murder remains hidden in our heart while we smile and pretend it isn’t there. And here’s just where we find the punchline: If we say “God loves you,” it must take into account a world that has a cross. All the terrible injustices visited upon us are visited because this is the broken world that has a cross. It’s a world that isn’t made right, and we feel it to our bones. But the problem is that humanity itself is the culprit: throughout history, we have murdered more people in the name of perceived injustices, sometimes even in the name of God. Blood is on our hands, dripping wet with red innocence. And we don’t even care. This is a broken world, a world where human beings created a cross. It’s also a world that God used such a tool to demonstrate His love toward us. God’s love used the brokenness of this world and took the injustice to show His justice. Jesus wiped the feet of Judas before he received Judas’s betraying kiss. Jesus served Himself to a broken system before that broken system flayed him and nailed him to a Roman cross. The world that has a cross is precisely the world that needs one. “God loves me”? Yes, indeed. And God shows His love to me by showing me just how broken we are before He shows me just how redeeming His love is to my own soul. Does she know? Does she see? I wonder, me: what’s next? A disembodied thing: she’s not alone? Did she hear it? Is she sleeping? A deep voice. A word. A melody. I wonder, me: what’s “baby”? What’s a mama? A curse? A wish? Violence. Shaking. The world at war. Sirens. And voices. A syringe. Terrible pain. I wonder, mama, does it hurt you the same? I wonder, mama: what’s next? Martin Luther King had a famous dream. “I have a dream that my four little children will one day live in a nation where they will not be judged by the color of their skin, but by the content of their character.” What’s the reality we live with 56 years later? We’re not judged by the content of our character. We’re judged by the color of our skin, the size of our wallets, even the political party we associate with. And where is character to be found in those things? And why does character matter, really? I mean, it doesn’t gain us status or recognition with the world. It grants us no titles. It promises no money. It doesn’t even provide us with more friends. What is the reward of good character? And why does that matter in a society that seems to value, above all else, such notions as tolerance and reproductive rights on one side, and guns and free market on the other? What’s all this have to do with human diversity? Just this: our human condition as individual human beings, and even our variety of culture, is and always has been a very good thing. Martin Luther King was right: the color of our skin is secondary to our virtue, or lack of it. And our human condition, our every culture, has deeply rooted problems. It’s not that humanity as God created us is bad. But neither is culture bad as God originally created it: “Be fruitful and multiply, increase greatly on the earth and multiply in it,” God says to the Patriarchs again and again. Why? In part, it seems, because God loves diversity. God loves the rainbow of our human cultural expressions. God is most glorified in our cultures when our cultures, in their various and wonderful ways, glorify Him. It takes the form of ancient hymns and organ music. It takes the form of rap music. It takes the form of Australian digeridoos and African Djembe drums. But there’s a very real danger in this diversity as well. Much like human individuals, cultures also turn bad in the ways they turn from God. As C.S. Lewis once said, “There is but one good; that is God. Everything else is good when it looks to Him and bad when it turns from Him.” No son or daughter of Adam is exempt. And no culture is either. We find it from the materialism in the West to the mysticism of the East. We find it in Democratic Republics and Monarchies. We find it from Capitalism to Communism. And yes, we find evil in the power-plays and politics of American Conservatism and Liberalism: each of us has turned aside from God. And while our systems can sometimes express the wonderful Image of God through right justice and proper care for the poor, those same systems can also exemplify the apathy and deep-seated hatred in each of us toward our God and our neighbor. So, friends, let’s embrace MLK’s dream that the content of our character might become the skin that people see first. Let us recognize the sin that clings to us closely (Heb. 12:1), sometimes so closely we’re blind to its cultural manifestations among ourselves. God’s gospel speaks equally to skin color and to reproductive rights; it speaks equally to racism and infanticide. Is it possible we’ve not allowed the gospel into some of our own blind spots? While we point our own judicial finger, we must recognize God’s justice will one day roll down like a river. And God help us. So we pray for justice with a bit of fear and trepidation, knowing that God shows no favoritism to our apathy. The Gospel speaks to all of our individual and cultural sins: the varieties of human culture, skin tone, ethnicity, and music are beautiful. And they’re made more beautiful when we see those varieties turn from their apathy and sin to the one God and Father of all. Although I really don’t recall what the cause may have been, I have had an appreciation for the art of Bonsai since I was in grade 5 or 6. Even before David Winter cottages, I appreciated not only the small-scale aspect (at an even younger age, I had a rather expansive set-up for HO scale trains with houses, businesses, and landscape) but the attention to detail. 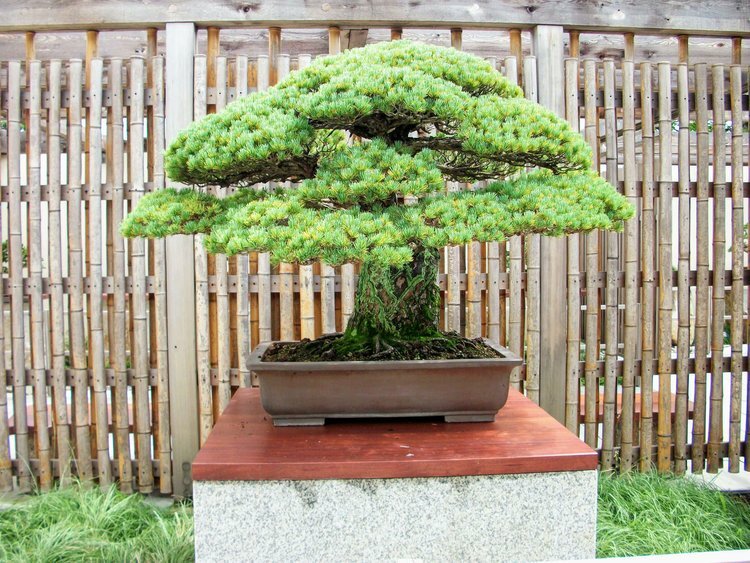 Whether the bonsai was to represent a tree on a coastline with its growth impacted by the constant winds, or a copse with a pathway or pond, possibly with carved figurines, I was enamored. Over the summer I was afforded the opportunity to visit the U. S. National Arboretum in Washington, D.C. with my friend Ryan (for a send-off gift from SharpTop, we chose a bonsai for him as he shares an interest in the art). The Arboretum includes the National Bonsai & Penjing Museum, which was the main focus of our visit. Along with exhibits, and gardens through which you could stroll, there were open-air pavilions for Chinese bonsai, Japanese bonsai, and for North American bonsai. These pavilions were home to dozens of deciduous and evergreen bonsai. The museum had its start with 53 bonsai and a half dozen viewing stones which were gifted to the United States by Japan as we celebrated our Bicentennial in 1976. These are housed in the Japanese pavilion. In the Chinese pavilion, there are both bonsai and penjing (miniature landscapes). Some of the works here have the roots growing over rocks. Many of the bonsai have been in training for over a hundred years. The North American pavilion features bonsai from trees found primarily in the United States and Canada, many of which are California junipers. The thing by which we were most impressed--and here, impressed means something more like dumbfounded--was a bonsai in the Japanese pavilion. A Japanese white pine. Compared to many of the other bonsai we had seen, a bit larger. But what made this bonsai so significant was the placard that indicated the bonsai had been in training since 1625. Think about that for a moment! Remember your United States history. The Jamestown Settlement was founded in 1607. For nearly four hundred years, a Bonsai scholar has been tending this tree: pruning it, training it, tending it. What the placard doesn’t detail is the list of scholars. I’m curious. Who was the first scholar to begin this bonsai work? How many years did he train the tree before entrusting another scholar to succeed him and continue his work? If each scholar trained it for a minimum of twenty years, that’s twenty different scholars. I wonder if at some point after the first several changing of hands a scholar began a list of the names of his predecessors. Perhaps, each new scholar rewrote the list to preserve the history. Or, perhaps, each scholar trained the tree for fifty years, almost as a life’s work. That would bring the number of scholars down to eight. Eight scholars removed from its beginning in 1625. I wonder, too, if the first scholar thought his work would surpass his lifespan several times over? I wonder if the scholars training this bonsai envisioned it, not only enduring for generations but as a gift from their country, crossing an ocean and a continent, to commemorate our own Bicentennial. Reflecting on all this (it’s what INFJs do), I thought this nearly-four-hundred-year-old bonsai was quite the metaphor. A metaphor for Grace Community Church? Think bigger. I see this bonsai as a metaphor for the Kingdom of God. We should, I think, consider Jesus Himself as the original “scholar” for the Kingdom. For three years He poured Himself into a dozen disciples. Teaching them. Mentoring them. Leading them. Doing life with them. In turn, this group of men--joined by a few others--carried out the art, not of bonsai, but of discipleship, advancing the Kingdom. The process repeated. The Kingdom perpetuated. We have the list of the original “scholars”, but, as they each invested in relationships, and as those relationships replicated and multiplied, tracing it all would become rather challenging. The discipleship and mentoring have continued until today. Some of the early “scholars” still impact us. Do you think Paul ever thought his letters to the churches at Philippi, Corinth, and Colossae would be read by others outside those churches? Do you think he imagined his letters would become part of the Canon? Have you ever wondered if he dreamed passages from his letters would be memorized by countless thousands of believers? You can look back a generation to the person, or persons, who invested in you through discipleship and mentoring. From their testimonies, you could trace the discipleship back a little further, perhaps. You can look forward to the relationships you have in which you are the influencer. These relationships will continue into the future. We’re all in this thing of building the Kingdom together. And we’ve “trained” our tree for several thousand years--I suppose ours is a mustard tree and not a white pine. Our tree continues to flourish. It is work. It takes time and effort. Sometimes, it is discouraging. We fail. But, don’t grow weary. Our work is of far more significance than “training” a tree. We are building a Kingdom. It’s now upon us! It’s Christmas Eve. Most of us have heard and sung so many Christmas songs by now that the family dog might be ready to sing the chorus. We have a great tradition in America with these various songs, whose themes range from God’s incarnation to a winter ride on a sleigh. Why are we celebrating, and how do our songs reflect, for ourselves and the world, what we’re all about? We frequently say that Christmas isn’t about gifts, but about _________ (fill in the blank, ideally with a word like “Christ” or “God’s love”). 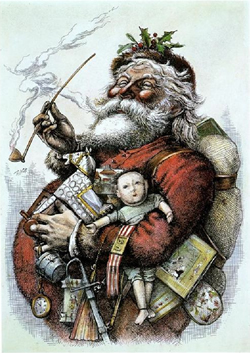 Perhaps we need to consider some of our traditions surrounding the man behind the sleigh. We first need to distinguish fact from fiction. How did we get this picture of red suited man with a jelly belly who brings gifts to good little children throughout the entire world? This fiction is indeed based on a historical fact, but only as a shadow. What does the Christmas Spirit have to do with the Christmas Myth? The origins of the Santa Claus myth hail back to the fourth century in what is the southwest coast of modern Turkey. This was when and where the real Nicholas, a bishop of Myra, lived. He was known for his generosity and his love for the church and true doctrine; this was a man of conviction and piety. He was orphaned at a young age and his parents left him a fortune as his inheritance. Rather than using the inheritance on himself, he chose rather to be charitable. One story about his life tells of a poor father with three girls destined for life on the street. These girls had no dowry and the father was ready to leave them to a brothel. Upon hearing about these girls, Nicholas left a bag of gold in the window for each of these girls so they could marry. So when Constantine became emperor of Rome and ended the Diocletian persecution, this is the background for understanding the Nicene Council and the Arian heresy. The Nicene Council met to debate and settle this important doctrinal issue. The council was meant to unify the church after the persecution of Diocletian after a time of disunity and division. Nicholas, a bishop of Myra by this time, attended the council. The church historian Eusebius records the events: Arius was dividing the Church with his heresy, and Nicholas became so angered with Arius that he crossed the room and slapped Arius in the face. I’ve been happy to sing songs of sleighs and reindeer. These have been a part of the happy tradition we have with the American “Holiday Season”. These happy jingles remind me of my childhood. They serve to lift our spirits a little. They are part and parcel of the nostalgia of Christmas in our traditions. Very God, Begotten, not created. I’m a big sci-fi nerd. I love a good story, but I particularly love a good sci-fi story. What I’ve seen about any good story is that is says something fundamentally important about humanity. About being human. We see this question frequently in good sci-fi. What would the first Star Trek series be without the question of Spock’s humanity? (Spoiler alert!) His death in The Wrath of Khan (1982) serves as the climax to this question. “I have been and always will be your friend” the uber-logical Spock says to his impulsively uber-human friend, Captain Kirk. We have plenty of other examples of this. Commander Data’s quest to be human is central to his role in Star Trek: The Next Generation. Darth Vader serves this capacity at the end of Episode VI: his humanity is demonstrated in his final rejection of Darth Sidious and his embrace of fatherhood. For Vader, “The power of the Dark Side” is overcome when he embraces something more powerful, and Vader sacrifices himself to save his son. What does it mean to be human? This important question is central for a vast portion of good literature. What does it mean to be human in the context of a story taking place in the English Navy of 1800? Or in the context of a fantastic future world? The characters we most identify with are those characters who show us something about ourselves. I sometimes take part in conversations where one of the Christian conversation partners makes an off-handed comment: “that’s human nature!” And of course, it’s understood that by “human nature” they mean the evil inclination of our heart. But it this right? Should we call human nature to account when we discuss issues like sin and sinfulness? The Bible itself has something important to say about “being human”. We learn from the Bible that our basic nature is actually “very good”. God creates everything with a word. Then God steps down and molds human beings with His very hands. And from the very start, God calls it all “very good” (Gen. 1:31). So whatever we have to say about the most basic nature of humanity, God calls it, along with everything else He made, “very good”. Whatever else it means to be human? It does not mean “evil inclination” or “sinfulness”. Those are intruders in the story. And doesn’t this touch on the Christmas story itself? When we talk about Christmas, we’re talking about the second Member of the Trinity becoming flesh and dwelling among us. When we talk about the Christmas story, we’re talking about God being “with us” in the very real sense that God has become one among us. Whatever else Jesus was, Jesus was a very human being. It’s been my observation that, in our circles at least, when we discuss the person of Jesus Christ we tend toward understanding Him as the Divine One, the fullness of God. He is the one whom we worship on Sundays. He is the one in whose name we pray. It’s rather easy for us to see Him as “fully God”. It’s also rather easy for us to forget that He is “fully human”. It’s easy in our circles to remember Jesus, the second Member of the Trinity. And we have a hard time seeing him as the second Adam. We have a hard time identifying with Him because, well, Jesus was and is God-in-flesh. God, yes. But weak? Frail? “With us” in the sense that this Person is, really and truly, a human being with human emotions and human desires? Did Jesus laugh with his friends? Did He think hummus tasted better than lamb? Did he think girls were pretty? Did He ever hit his thumb with a hammer? And did he jump up and down in pain, if he ever made such a human gaffe? We have a hard time entertaining such questions because we dare not touch his humanity for the sake of His Divinity. But here is precisely where the story informs us about ourselves. We can and should identify with Jesus in His humanity because He is what humanity was meant to be. Jesus exemplifies for us what Adam should have been. What does it mean to be human? We need look no further than a general contract worker living on the edges of Empire and the fringes of Ethnic Identity. Whatever we ought to be is provided for us in the the story of a very real human being, in a man who calls us to that same humanity. In looking for our true humanity, we have become the “Spocks,” looking in on the real human. We have become the “Commander Datas",” wanting to touch, taste, and smell humanity as Jesus tasted it for us. We have become the Darth Vaders, seeing that the power of our dark hearts, enslaved as we once were to our darkness, is weak and lifeless compared with the life we find in the true King, whose slave we have gladly become. Sin is an intruder on this human story. But sinfulness is not what it means to be truly human. Not because Jesus is God (which is true) but because Jesus was born of a woman, born of a promise. His sinlessness doesn’t make Jesus less human. His sinlessness makes him more human. And He calls us out of our own sin toward this true humanity by the power of the Holy Spirit. Jesus frees us from our sinfulness, not from our humanity. So Merry Christmas, everyone! The Incarnate God was born in flesh 2,000 years ago. And most amazingly, this Incarnate God—Immanuel—has taught us our humanity best. Repentance: What’s in a Word? We talk a good deal about repentance. It’s in our songs and our Scriptures. It’s the very beginning of our faith: “Repent and believe in the gospel!” Jesus tells us (Mark 1:15). Still, repentance is such a terrible word. The glory is in repentance; the tragedy is in the word. Roses may smell sweet by any other name, but we must get words and their meaning right when we speak of God and His Word. We think repentance means “to be sorry” or “to have regret.” And while sorrow is certainly involved, sorrow is not repentance: “for godly sorrow produces repentance that leads to salvation without regret whereas worldly sorrow produces death.” (2 Corinthians 7:10) In other words, we have a sorrow that leads to life, and another sorrow that leads to death. If you miss that point, death is in the error. The rose of true repentance smells of death to some and life to others (2 Corinthians 2:15-16). So in the case above, to “repent” means to “have a change of mind.” The question, “What have I done?” would suggest that one has, indeed, had a change in mind or attitude. But rather than changing their attitudes (that is to say, rather than turning from their sin) God charges that Israel is following their own course. Israel’s hasn’t changed her mind about her sin. But in other instances, “repent” clearly means “to turn from an action or activity” such as in Hebrews 6:1: “let us leave the elementary doctrine of Christ and go on to maturity, not laying again a foundation of repentance from dead works and of faith toward God.” Clearly, “repentance” must mean “turning from” in this case “turning from dead works” and “turning to God” in faith. But there’s another problem with our word, namely that we don’t have any good alternative. No word in the English language suggests a change of mind resulting in a change of action. But we must get this right, friends: repentance is a complete change of position from thinking one way, to thinking another way. “Repent, for the Kingdom of Heaven is at hand!” means more than sorrow for your sin, but it certainly doesn’t mean less. It means a reorientation of our minds. It changes our attitudes about our sin and about our God. And perhaps more fundamentally, repentance moves us to agree with God about our sin. And experientially, repentance moves us from enjoying our sin to enjoying our God, who desires that we find our joy in Him alone. Our hands and feet follow our heart in our repentance. So repent, dear friend. And take great joy in your deep repentance, knowing the rose of repentance is the fragrance of God’s good pleasure. I know many of us don’t like poetry, much less care to read it. And others of us think of the word “theology” and thank God we’re not called to read such large tomes as Wayne Grudem’s Systematic Theology or Karl Barth’s Church Dogmatics. We’ll leave the former to the romantics among us, and the latter we’ll leave to the brains. The food of those tables is often foreign to our palate. But I imagine God has called us, if not to feast, at least to taste from those plates from time to time. We’re called to think rightly. And we’re called to adore Him with all our affections. But it’s a rare thing to see theology and poetry in one place (at least, on its own apart from our putting it to music). Have we parsed out these things too cleanly? Like separating home life and work like, or separating faith and reason, have we separated our intellect from our emotions? Can we imagine God desires reasoning romantics, who want to think clearly so our religious affections are oriented rightly? Or do we keep our compartments clean between our reasoning and our romantic selves, and never the ‘twain shall meet? And He has given us the keys. Puts dimples in the perfect pond. And we, from dirt to honored top. “This golden plot is yours—partake! “Is His promise life, indeed? We took to live, now know we die. Now broken, now twisted, now torn. We sold our souls for a pound of flesh. Cheap, our prize had cost too much! To put red hands to violence. Still whispered our Creator’s ode. Might lead the nation to the prize. Had sold her soul for so much less. Redeemed our souls in righteousness. Once dead now risen owns the keys. And he, from slave to sovereign King! Save one race, all is for His sake! We took to live, and with Him died. We, the branch, and He, the Vine. Now owns our lives for righteousness. Rich, this lavished grace to grace! And makes His name through us renowned. In our Sunday Morning Men’s Bible Study, we will spend the year looking at other belief systems, specifically to see what the problems are in light of Scripture Before launching into this, we spent several Sundays reviewing what we believe. We looked at this, the Nicene Creed, and other creeds, and spent some time discussing them and other published confessions. The Apostles’ Creed above is fairly brief and is structured for both congregational reading and recitation, and for personal memorisation. Whatever your thoughts on including this in our Sunday morning liturgy, I think the repetition and memorisation ultimately can only be a good thing. Rather like a condensing of the catechism… or like a company mission statement and values! Knowing what we believe is fundamental to all aspects of life. Knowing what we believe is fundamental. Working out what we believe… well, that takes a village. One such village would definitely be our church family. 1) Grown men run across the lawn or any gathering place inside to give each other hugs, often bear hugs preceded with jarring chest bumps. 2) Folks with gardens bring the overflow of their produce to share with anyone, leaving boxes out on the breezeway. 3) We have worship services with some regularity in which the time of testimony sharing ends up replacing the message. 4) Sometimes we laugh during communion. 5) You can see readily how the members use their gifts and abilities for the benefit of the church body. 6) How many folks can say they play Euchre often with their pastor? 7) We have our own rather skilled interior designers who do wonders with paint and accessories! The sanctuary looks great! And the hallway! 8) Folks with chickens bring their surplus eggs to share… It’s been a few months since I have bought eggs. 9) I hear, or read, “I love you” (both directed to me and from one person to another) more than I ever have in my life… as people are departing or during testimony time, at the end of phone calls, and often punctuating a text message. 10) Clearly there is a great level of comfort and support, such that all the introverts feel like they can share with the church body. The extroverts, well, we’re glad you’re a part, too! 11) What’s not to love about having breakfast together every Sunday through the summer? Thanks to all those who labour early in the kitchen to make this happen. 12) Often the process of saying good-bye after a full day takes about an hour. 13) There’s just something about singing together and reading Scripture together. 14) Discipleship and mentoring relationships are such that great friendships develop between people of all ages. I have folks who have taken me on as their son, if you will, and my closest friend is half my age. To me, that is rather a big deal. 15) Often it is quarter to 12 when Dave gets up and asks us if he should go ahead and preach, and we say yes. 16) We take the time to celebrate the significant events in our member's lives. 17) It takes a village... and I think our young folks benefit from ours! 18) People actually want to take the time to build relationships... and that could be through having lunch together, playing Scrabble, playing tennis, serving in some way, etc. 19) A two-year-old expresses to her mother that she misses "my people" and then lists members of another church family... well, that is something. 20) Couples who have been married longer develop relationships with younger married couples... marriage mentoring, I suppose you could call it. 21) We make each other cry... in a good way. I imagine I could go on for quite some time, but these things were top of mind. Living in community involves risk, but it is how God works redemption, sanctification in us--and, these things and many others are why being vulnerable, taking that risk, is worth it. I share this with you here to get you thinking about why you have “cast in [your] lot with the people of God” here at Grace, or in whatever setting that may be--your church family being the obvious first such setting. The majority of my 21 thoughts about my church family capture a relational aspect. As you read the Apostles’ Creed, did you notice the relational aspects? If not, read it again! You are part of other circles than our church, undoubtedly. Maybe you are part of a sports team, choir, orchestra, reading group… I would encourage you to take some time and reflect on why you are a part. And, really, it’s worth taking the time to write down your thoughts--in your journal, if you do that. If it is a circle, organization, group with a spiritual purpose, you really should have some strong relational reasons for being a part of it--how else will God work out redemption and sanctification in you? You see, in our American experience we’re ready to call ourselves “children,” and “sons and daughters,” and “beloved” of God. Perhaps we’ll say we're God’s people, heirs of God’s promises. We might even say we’re servants. But are we ready to call ourselves slaves of Christ? And really, what’s the difference and why does it matter? 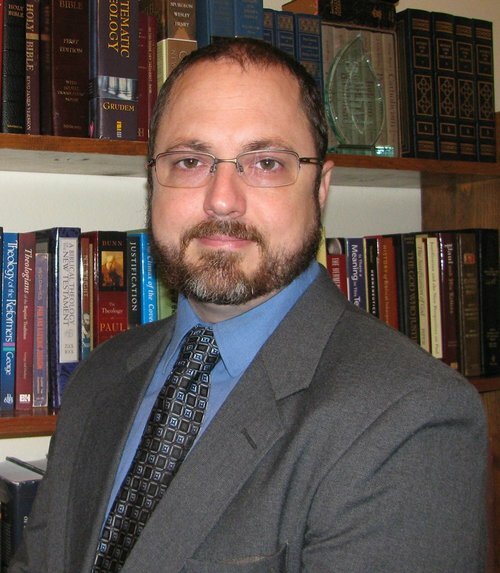 I suggest at least two important issues that our understanding of “slavery to Christ” affects. (1) What does my freedom amount to? And (2) How does this relate to “redemption”? Freedom from or Freedom to? In our American Christian experience, we frequently regard our freedom from sin and death. We celebrate our freedom in our songs. We think on it when we receive baptism. We remember it in our Lord’s death at the Lord’s Table. And it’s enculturated in America: if we celebrate nothing else in our country, we certainly celebrate what we call “freedom”. But for us, we tend to think of freedom in terms of “freedom from.” We’re free from the Law, and thank God. We’re free from sin and death. We’re free from the penalty for our sin. Sometimes this makes us think we’re free from any law, free from anything that smacks of service to another, free from anything other than our heart’s desire. What we call “freedom” in America so often amounts to nothing more than license to apathy. We might be comfortable with being Christ’s servant, but are we privileged to be Christ’s slave? One amounts to keeping some rights for myself. The other amounts to giving all my rights up because someone else has a prior right to my life. To Whom Do we Belong, Really? We’ve been purchased from slavery. And in one sense, amazingly, God has made this slave a son and heir of His promises (Galatians 4:1-4). But in another sense, we must carefully note that Paul tells us the purchase price of a slave was given for me, the high price of His blood. So this redemption has purchased me, not from slavery to being a freedman, but to give me a Master whose good purposes I can trust, whose discipline isn’t always welcome, but is always wise, and gracious. Our Lord and Master has truly lavished His grace upon me, a purchased slave of Christ. I'm indebted to Murray J. Harris, whose book influenced me on this subject years ago, and surely still influences me today. And while I did not consult that work today in this article, the reader certainly hears echoes of his work throughout. I highly commend reading this excellent book.